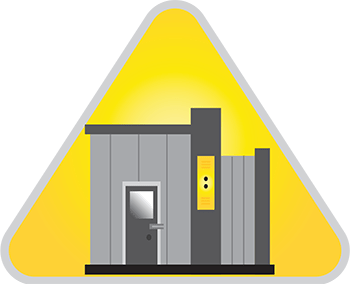 The Workplace Simulator Laboratory will be installed in the new Research Innovation and Engineering building that is currently under construction on the Laurentian University campus. The infrastructure is scheduled to be operational by September 2018. 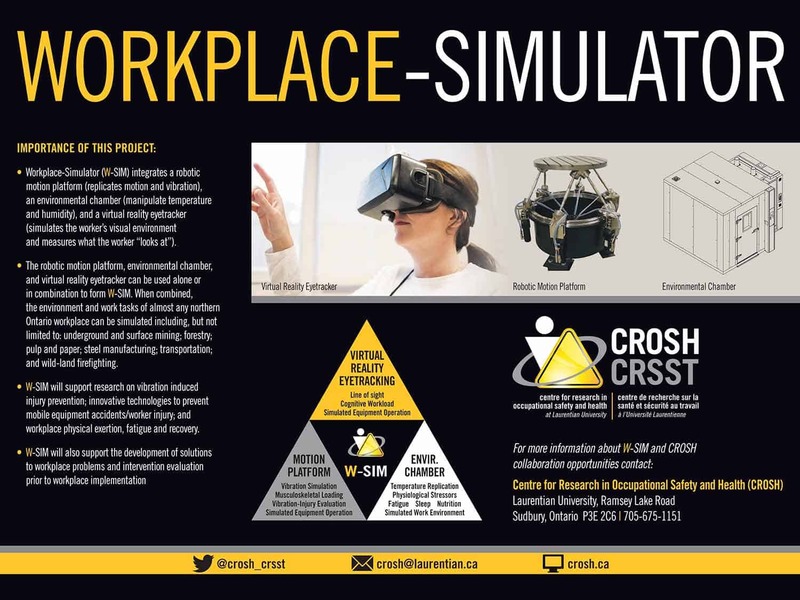 The workplace simulator will integrate a robotic platform (vibration and motion), an eye-tracker, and an environmental chamber (temperature; humidity) to be the first lab in Canada with the infrastructure to replicate the workplace environment conditions associated with underground mining. The Workplace Simulator will allow the research team to simultaneously evaluate the effects of vibration, temperature, and humidity, on human health and performance under controlled conditions. As mines are forced to push deeper underground for ore, the work environment continues to deteriorate and exposes miners to environmental conditions that pose a hazard to their well-being. 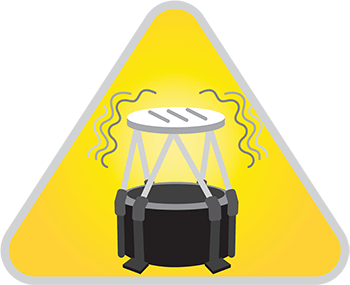 The WSUM will enable controlled research to concurrently evaluate aspects of musculoskeletal health, ergonomics, human factors, and work physiology to identify occupational injury risk factors and subsequently to develop interventions to mitigate the previously identified hazards. The results of this research will be applicable to the underground and surface mining industry across Canada, and the globe. 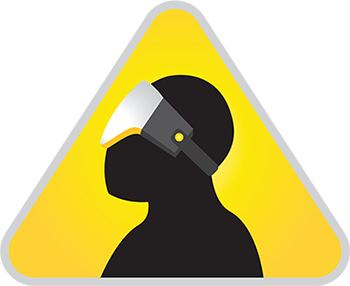 Further, some of the issues that will be studied exist in other industries such as construction, forestry, steel manufacturing, transportation, and warehousing; therefore, these industries will also benefit from research work enabled by the Workplace Simulator Laboratory.